A few years ago, music composer A.R. Rahman spotted the young Naresh Iyer in a reality show and invited him to sing a song. Naresh’s family was a little hesitant about him choosing music as a full time career. However, they supported him totally. Within a short span of time, Naresh has proved himself to be successful singer. He has sung numerous songs in many languages including Malayalam and has even bagged a National Award. A few days back, sitting at hotel in Kochi, Naresh narrated his music journey. He was in the city to take part in a non-musical event. Naresh sounded very excited talking about his journey into music. “I used to sing and participate in competitions since childhood. My parents recognised my talent and encouraged me. That was the beginning of my musical journey,” he says. His first song was Anbe Aaruyire and he never looked back after that. People loved his songs: Tu Bin Bataye, Roobaroo, Mundinam Parthene, Munbe Vaa En Anbe Vaa, He says, Kerala is one of his favourite locations, and adds that music is embedded in this place. “It is a beautiful place and I come from Palakkad, though I grew up in Mumbai. Besides the greenery, what I like about Kerala is its rich music culture. I have come to Kerala to give performances. What makes Kerala distinct from other places is the large audience who attend the programmes. They come in huge numbers and they are intellectual listeners too. 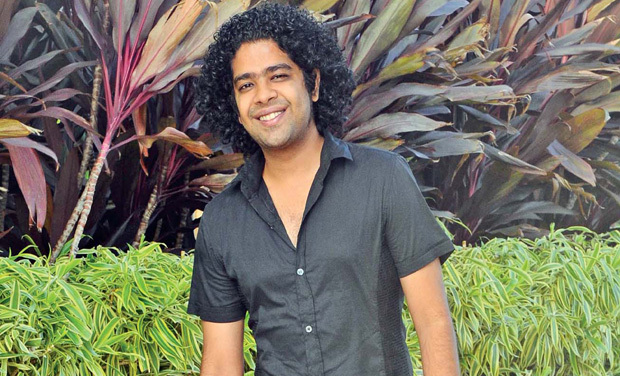 So, we strive to do our best when we perform here,” says Naresh who has sung two film songs in Malayalam. The two tracks include Hey Mizhimazha Thorum (Heart Beats), and Kanninimaneele (Anwar). The second track was a hit. “It was singer Suchithra from Chennai who opened the doors to Malayalam films. I am grateful to Gopi Sunderji and others for giving me opportunities to sing in Malayalam. Even this year, I have a few projects. Right now, I cannot divulge details of the songs,” he says. According to him Malayalam music is open to incorporating newer trends. “That openness is wonderful. A lot of changes are taking place in Malayalam music. They collaborate with artistes from outside and adopt changes in music so brilliantly,” he says. Is it tough for him to sing in Malayalam? “Malayalam is not among the easiest languages. But, I think with practice, experience and openness to learn new things, I am now able to do well. I believe that language should never be a barrier in music,” he says smiling. Besides Malayalam, he has a couple of projects in Hindi, Tamil and Telugu. And Naresh says that in life, opportunities will come to everyone if they have the passion within them. “There may be testing times. But, never give up. Enjoy each moment you go through. Be grateful that you have the talent. Nurture it and learn as much as possible because music is a vast subject. Opportunities will definitely come your way. It is all about having patience and faith in yourself,” he concludes.